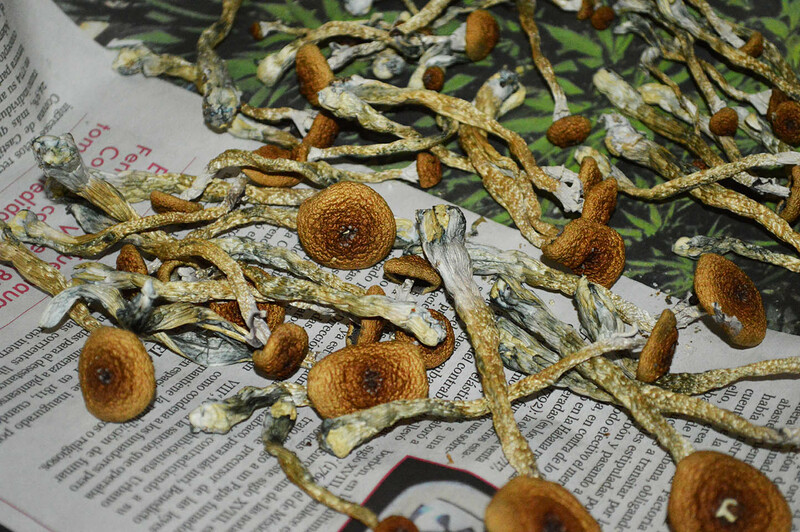 The first thing to do, evidently, is to get some fresh psilocybin ready to dry. We bought a Kit B+ 100X100 mycelium and decided to grow them. 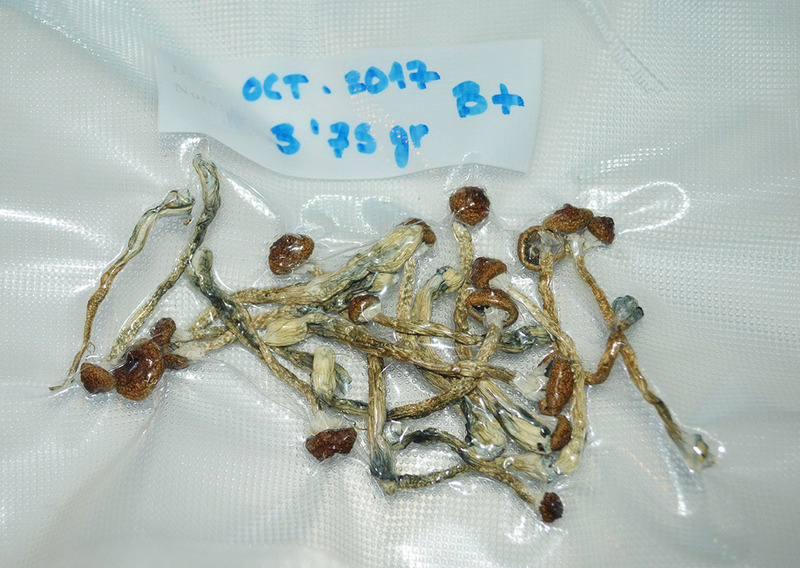 This kind of psilocybe is especially suitable for domestic growth and, these mushrooms have certain concentrations of psilocybin that, once the cycle of growth is complete, allow the consumption of less amount of the dried mushroom than other varieties, reaching identical intense effects. 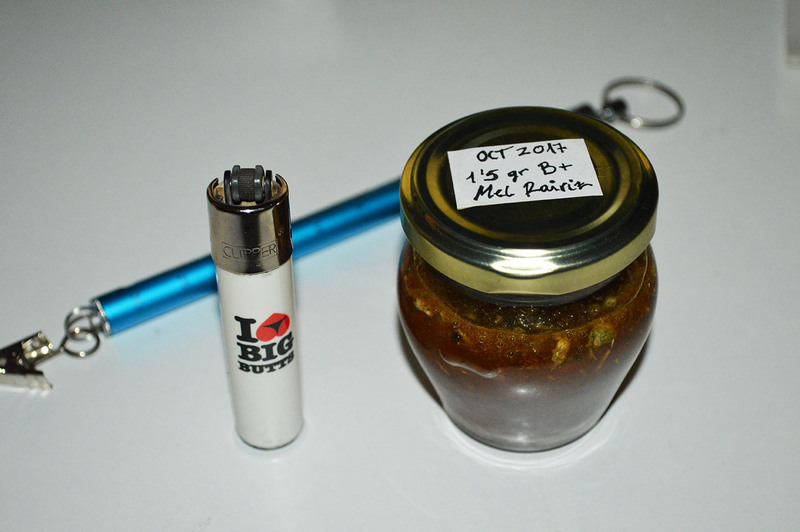 Below we attached some photos of our crop, in which we have followed, to the letter, the instructions that you can find here. The ideal moment for harvesting is right before the veil or ring which unites the cap with the stipe, breaks. As you can see, we were a couple of hours because they were sleeping. 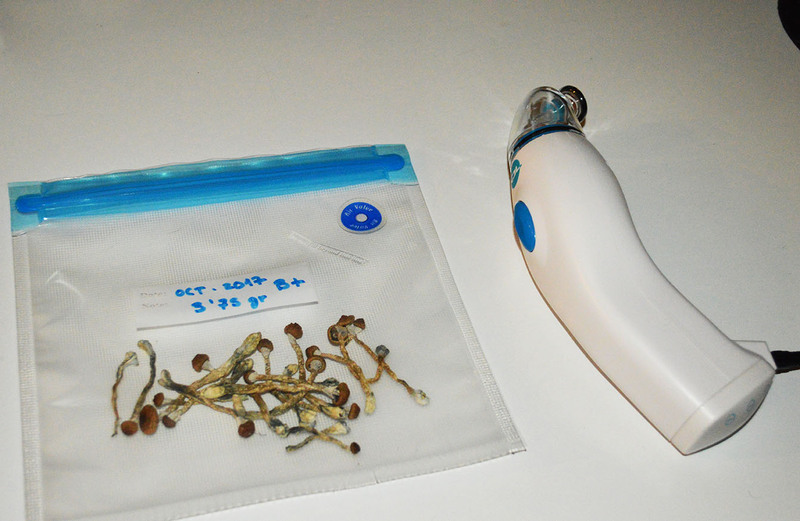 If you are able to cut the psilocybin in the right moment, you will have mushrooms with the perfect weight / strength ratio. If you can not, you will have to eat more quantity to obtain the same effects. 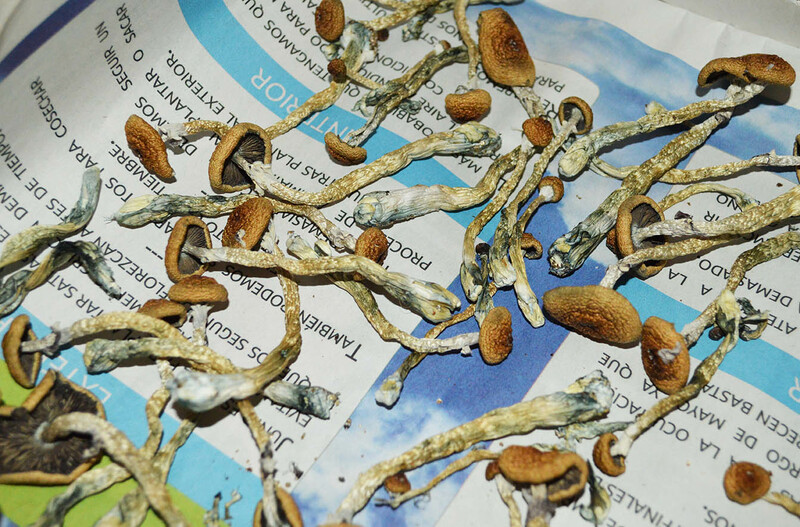 Once the cultivation is finished, remember to remove the mushrooms adequately, as it is explained in the manual - link, and place them on a sheet of newspaper. 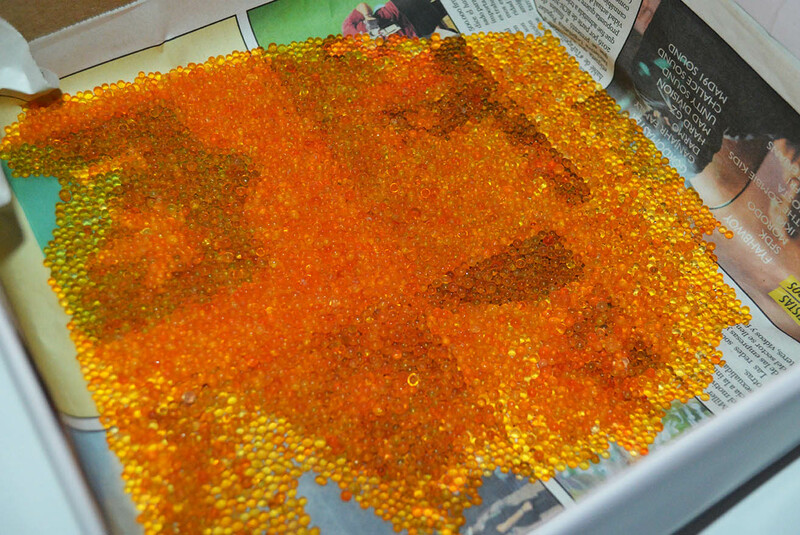 Even though you can dry them directly with silica gel, it is better than let them lose most of their moisture (they are made of about 90% water) and let them dry a bit before. In our case, we placed the mushrooms over a newspaper sheet and used a small fan, pointing away from the mushrooms, with the intention of removing the surrounding air, to facilitate the drying. 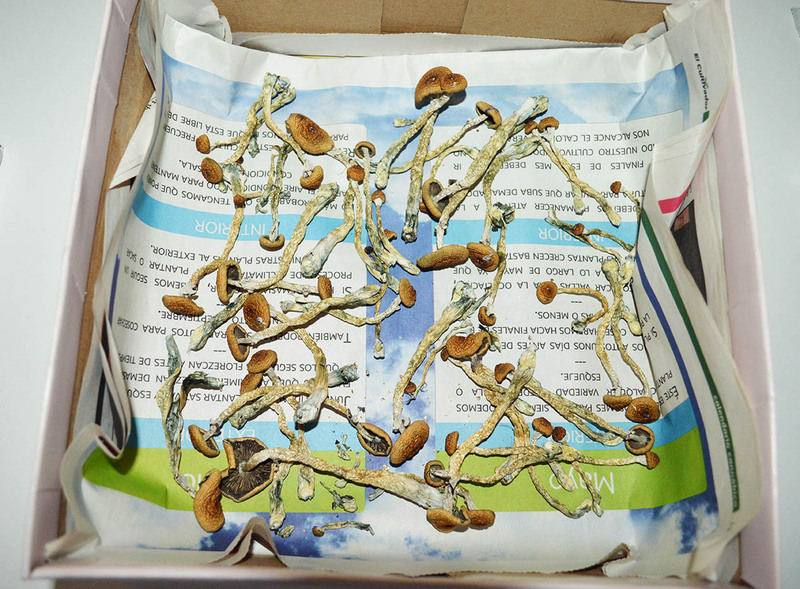 In 48 to 72 hours after removing the mushrooms from the kit, most of the water should be gone, reducing its weight drastically. In some places of Spain, where the climate is more humid, this process may take a bit longer. 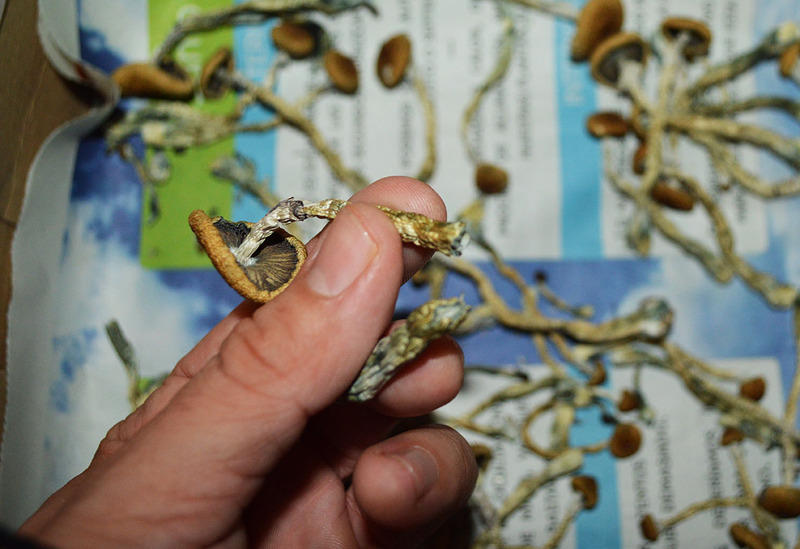 Below, you may see two photographs, one just after being harvested and the other nearly three days later. Ideally, the means to carry out a correct and lasting conservation of our mushrooms, is to achieve a "cookie" like drying. 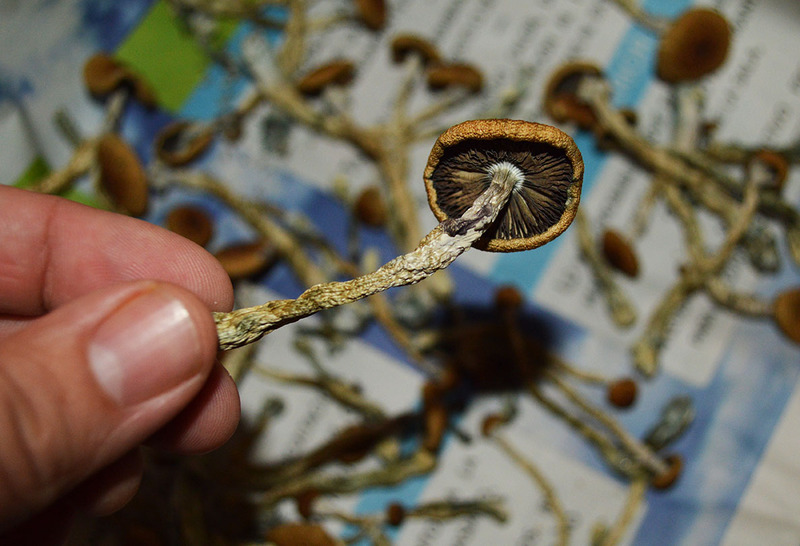 The growers and consumers of mushrooms have used this terminology for this level of drying of psilocybin, this expression compares the mushroom to the way cookies break when they are completely dry. 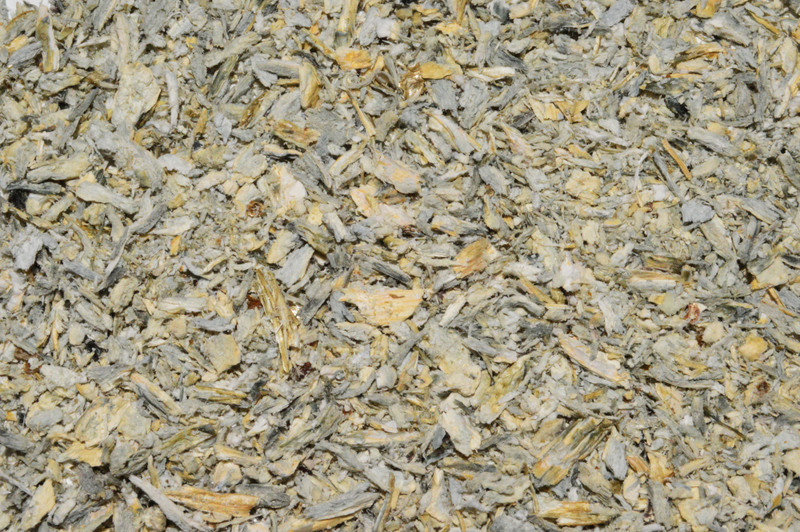 In some places of Spain, it is literally impossible to reach this kind of drying naturally, because the environmental humidity does not allow it. In fact, this could be a very hard task, in many places. 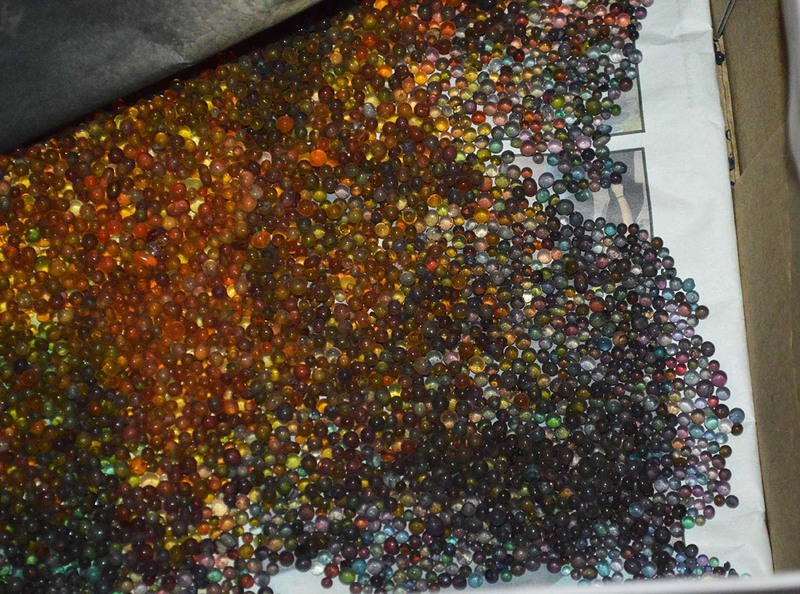 However, that changes significantly when we use non-toxic silica gel. I emphasize this one because it is a kind of silica dioxide that does not contain cobalt chloride. For that, buy silica gel in a trustful place. We bought 400 grams of silica gel and went on with it. 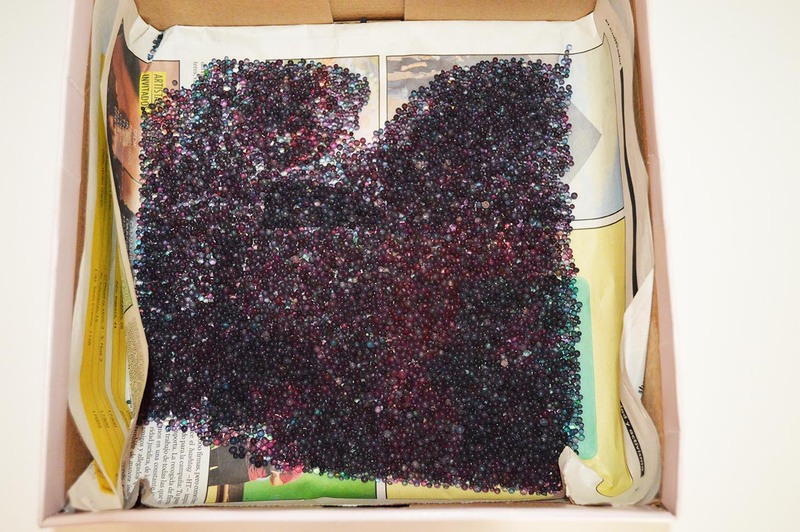 You can carry out the process in a cardboard box, a small chest or a glass jar, for example. 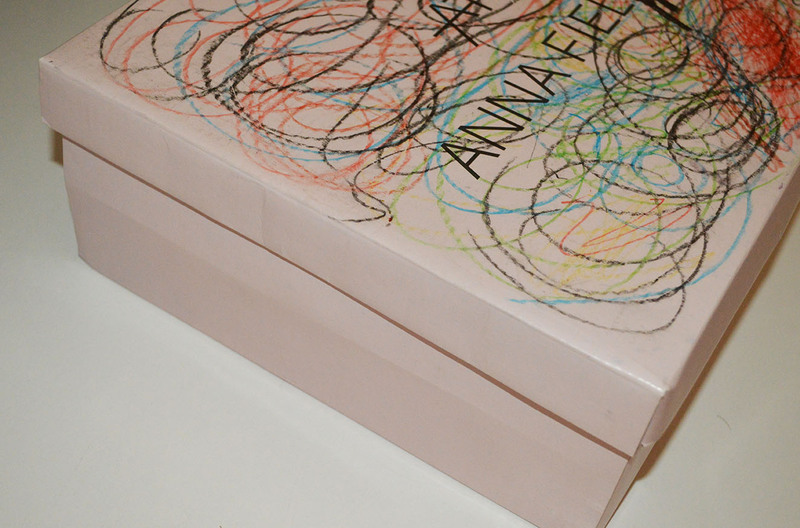 We chose the classic cardboard box, with average quality, so it closes well. 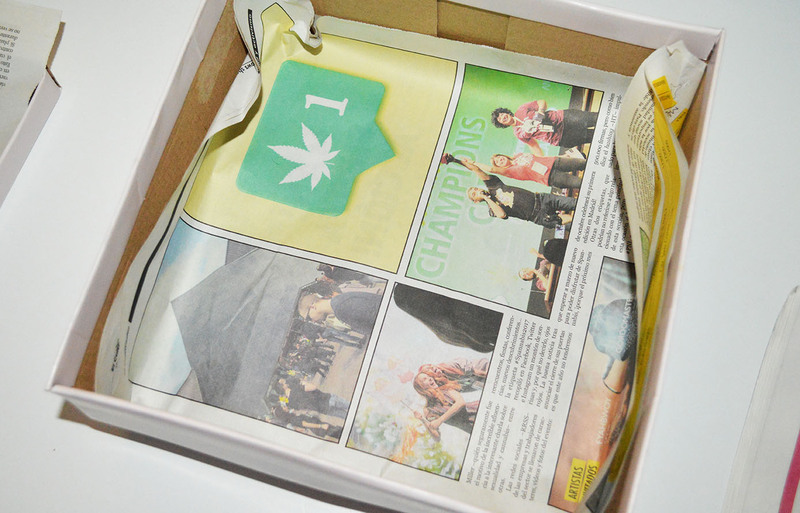 Put a newspaper on the bottom of the box, and over it, the silica gel. Over the gel put a couple more sheets of paper, where the mushrooms will be placed, without ever touching the silica gel. 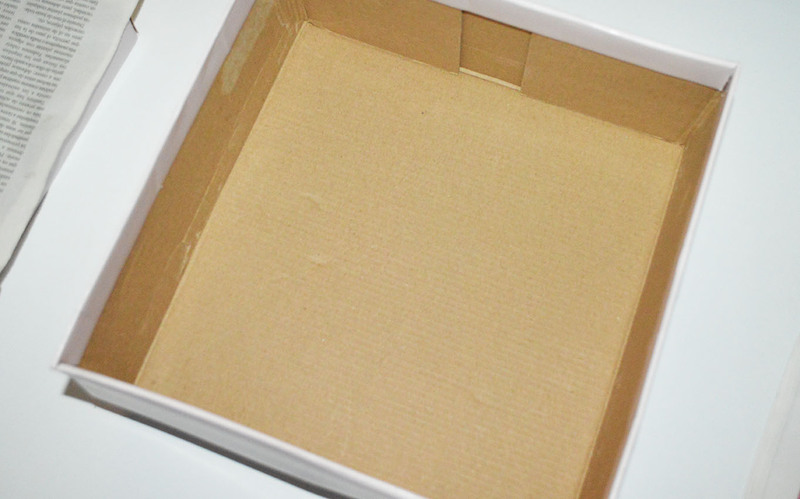 The next thing to do is to close the box (or any other container that you may have used) and keep it still. 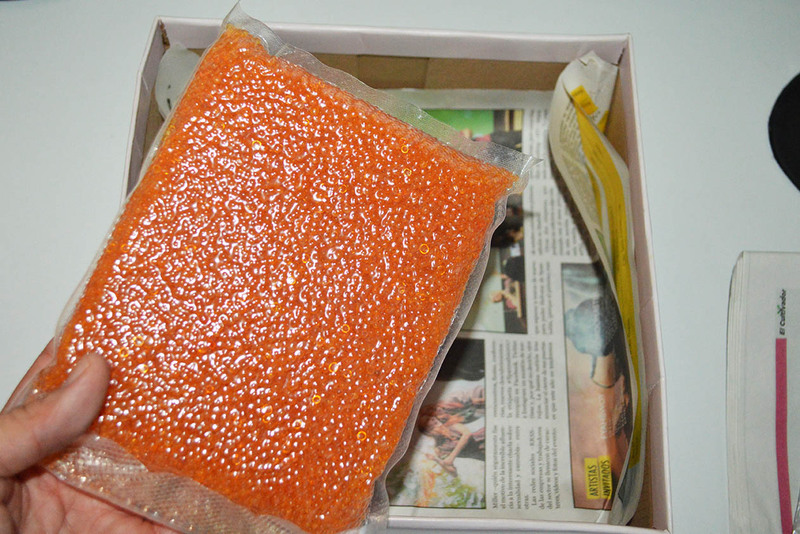 If you keep opening the box, the gel will not absorb the humidity adequately, environmental humidity will get inside, slowing down the process. 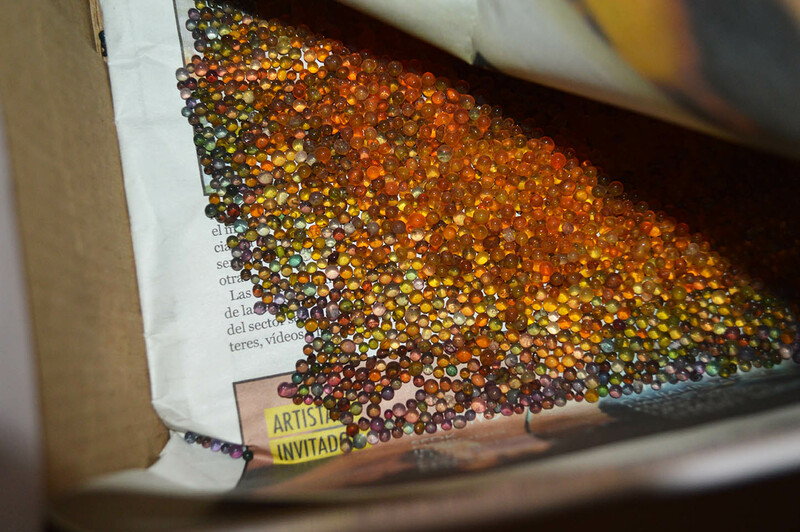 After 48 hours without touching the box, open it to compare the appearance of the silica gel. It is normal that it will progressively change colour from orange to a darken green. Most likely, when the silica gel is entirely dark, the mushrooms are extremely dry. So, you may regularly check the stage of the mushroom. It is possible that before the gel uses up its absorbing capacity, the mushrooms are already done and ready. The speed with which our mushrooms get to that “cookie” like drying depends on many factors, and the climate of your area of residence is crucial. In any case, you will know the mushrooms are dried enough when, as trying to bend them slightly, they break and show their interior completely dry. Below, you can see a photo of a mushroom ready to be stored. As for the silica gel, keep it, it still has many possible uses ahead. To recover its properties, you ought to expose it to sunshine or put it in the oven (never in the microwave) between 120 and 180 degrees Celsius. Nonetheless, it will, gradually, lose effectiveness and as time goes by you will have to buy new silica gel. Concerning the mushrooms, there are many ways to preserve them. If you keep them in contact with the surrounding environment, and there is a lot of humidity, it is most common that they will lose their extreme dryness which allows a superior conservation. So, we recommend that you store them in a vacuum or blend them with honey. In both cases you will get a much better conservation. We usually take a small dose of 1 gram, for relaxed moments between friends and, if we want to really trip, the dosage is between 2 and 4 grams, generally.